Grilled Brie Cheese with Raspberries. 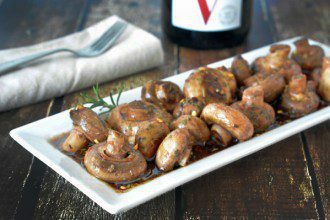 Top with nuts or thyme for an added layer of flavor. 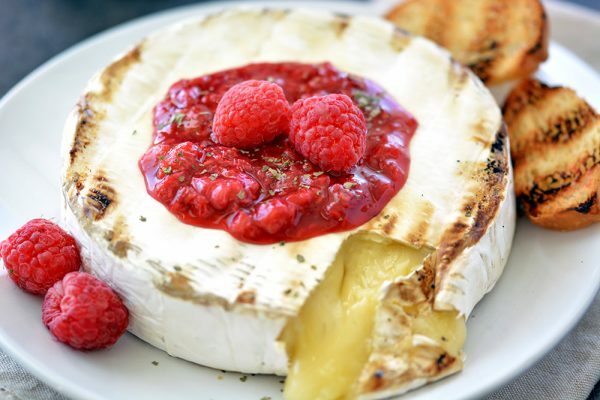 This brie recipe is ready in minutes and perfect for your next barbecue. 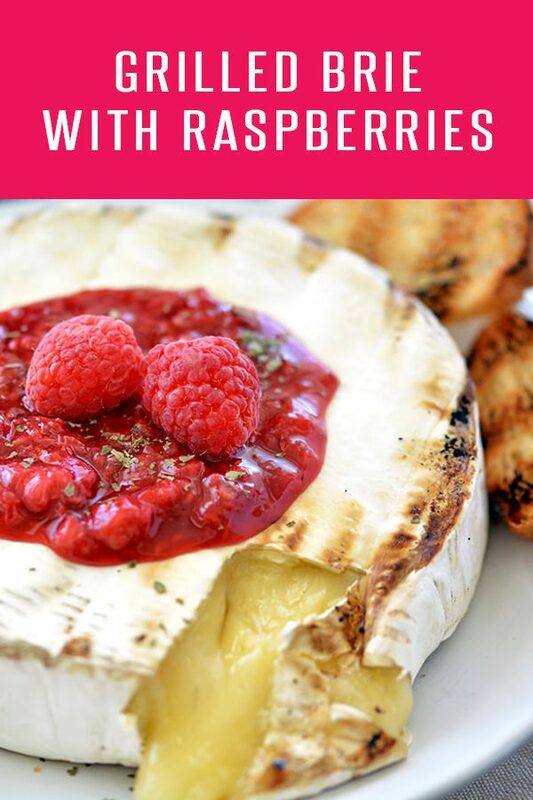 Most people don’t think of the grill when thinking about a baked brie recipe, but we’re going to change that with our Grilled Brie Cheese and Raspberries recipe. It’s got everything you want in an appetizer – cheese, fruit, crackers and did we mention brie cheese? This grilled brie recipe is a perfect addition to your spring or summer barbecue. 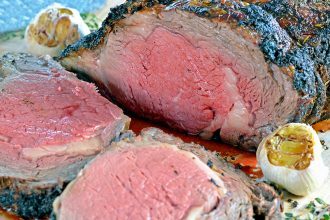 It’s ready to serve in just 10 minutes and comes dressed to impress. 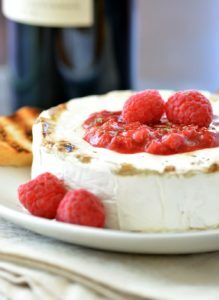 If you’re into making brie recipes a bit more complex, you can add thyme to the raspberry sauce or top if off with nuts. We like to keep it simple and focus on the cheesy goodness that is brie. We make this in our home every Thanksgiving and Christmas – on request for the kids, no less. If you don’t have raspberries, you can substitute in black berries. Side Options - crackers bread, toasted bread, pita chips. Pre-heat the outdoor grill to 350 degrees. Add the water and sugar to a small saucepan and bring to a boil. Add the raspberries (and thyme if wanted) to the sugar mixture and combine. Make sure to press down on the raspberries to squeeze out the juices. Remove from heat and set aside. Remove the brie cheese wheel from the wrapping (rind on) and coat in olive oil. 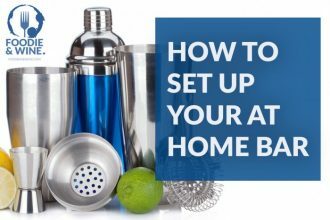 Place the cheese directly on the hot grill and close the lid. Let bake for 3 minutes and flip. Bake for another 2 minutes, or until soft to the touch. 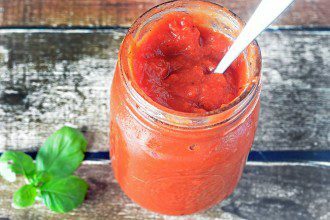 Remove from the grill and top with the raspberry sauce. Serve with crackers, chips, pita chips or any other firm vehicle that can hold the cheese.